I'm going back to uni tomorrow so I decided that tonight I would have a li'l night just for me. 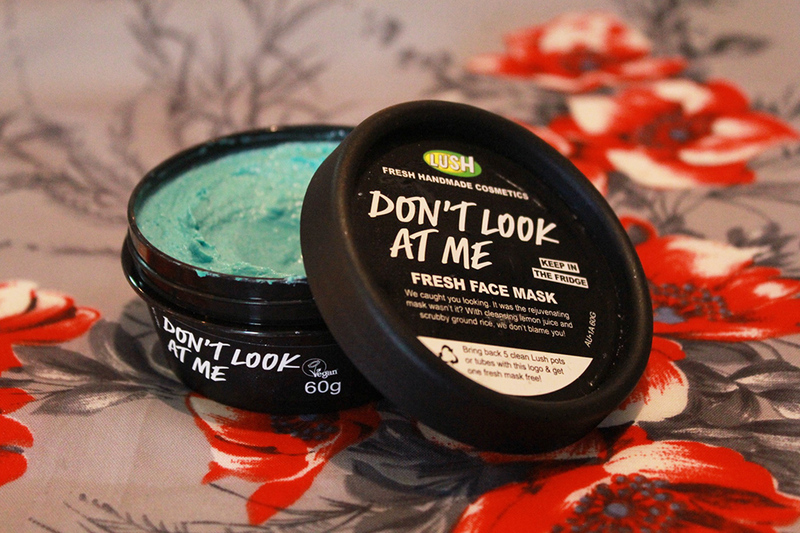 I had lots of empty black pots to trade in at Lush so what's a more perfect way to have a me night than to treat myself to one of Lush's new fresh face masks! 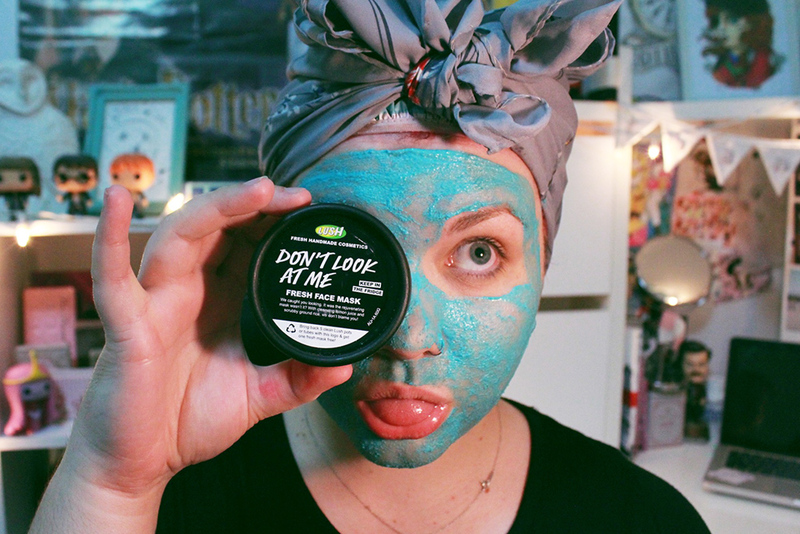 I've used nearly every Lush mask (it just goes with the territory when you work there, haha!) 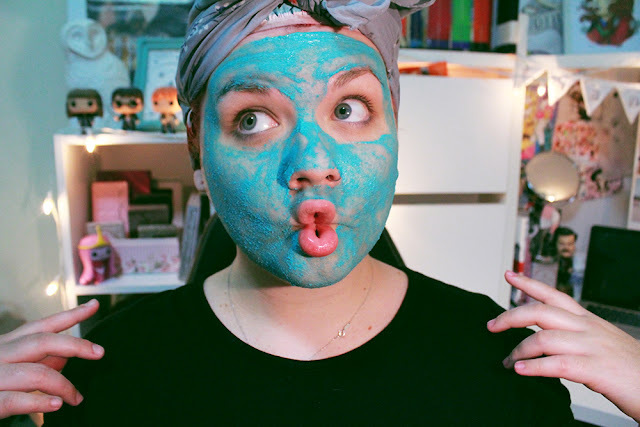 and I've always used different masks for specific reasons, for example persistent hormonal breakouts call for Cosmetic Warrior, Love Lettuce works for a good scrub, Cupcake or Magnaminty for a refreshing clean etcetera, but I've never found a mask that worked for me as a great all-rounder. Well my friends, I think this blue wonder might be about to change that! I have oily, blemish prone skin with a fair amount of acne scarring along my jawline, so I like my masks to give my face a good scrub without drying out my skin and exacerbating the appearance of my acne scars. 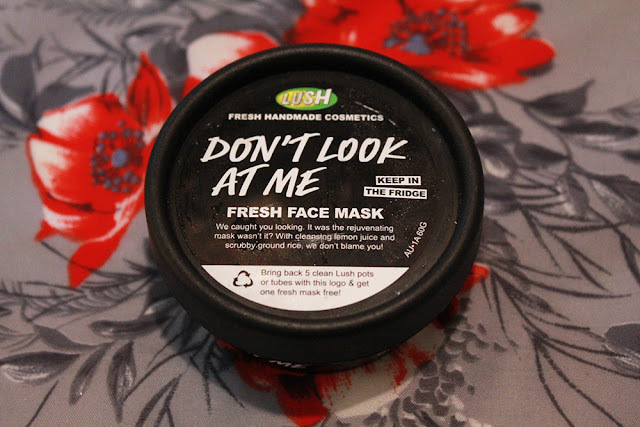 Don't Look At Me is packed with kaolin and fresh lemon juice, both of which help to deeply penetrate the pores and pull out all of the crap that's inevitably hiding in there. 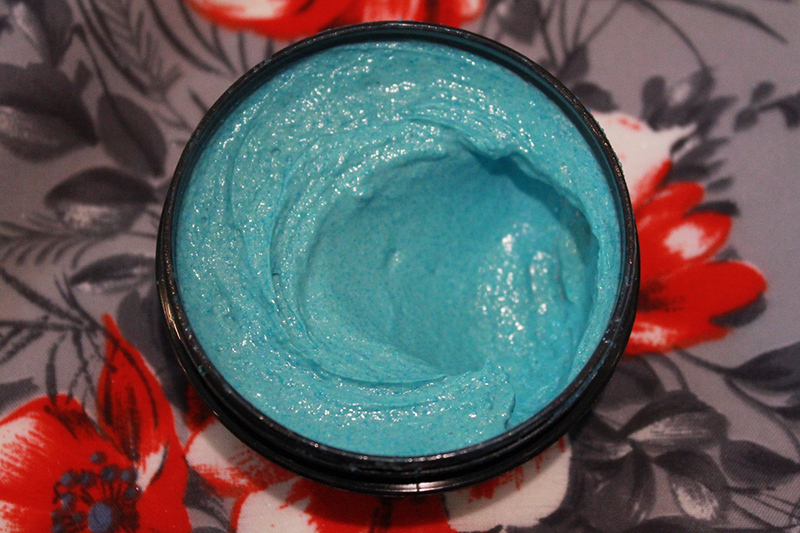 There's also grounded white rice which gives the mask a bit of a grainy texture and helps to really clean away any and all of those impurities that are lurking on and in the skin; when you wash this mask of be sure you wet your finger tips with some warm water first and give your face a good massage to help those ingredients really work their magic! 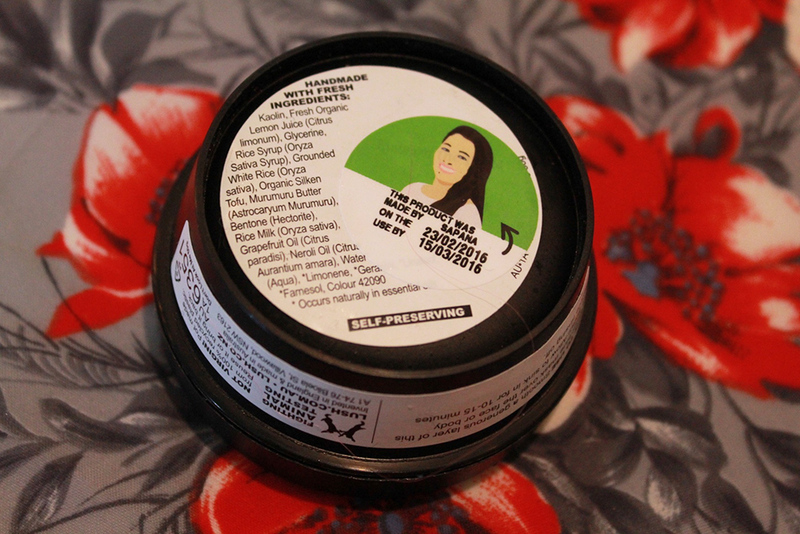 The combination of kaolin and lemon juice probably have the ability to be quite drying on the skin, but thankfully there's lots of hydrating goodness in the form of silken tofu and murumuru butter to keep things feeling soft and supple! 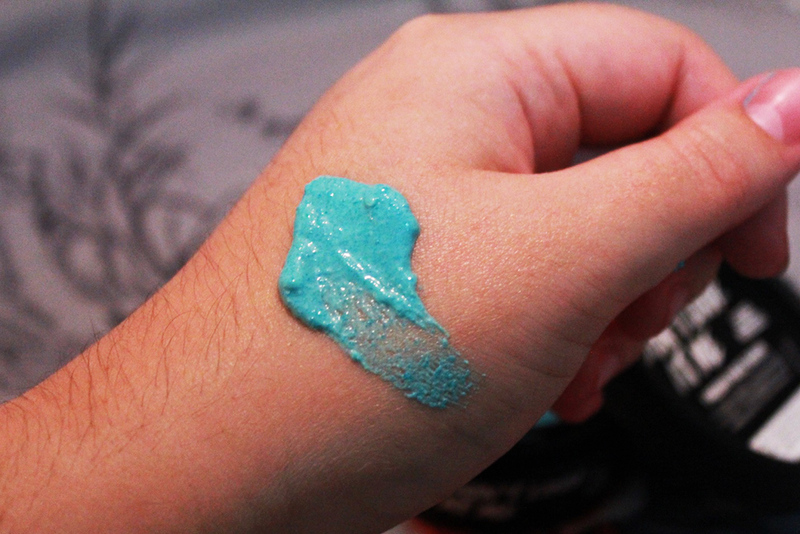 I could see a noticeable difference in the texture of my skin after washing this mask off, and I could feel a HUGE difference as well. I've been sick for the past week so my skin was looking really dull and awful and it felt really bumpy and gross, but after using this mask (and I've only used it once so far!) my face looked brighter and felt sooo much smoother, it even helped to reduce the appearance of my pores, which are honestly huge. Texture wise, I'd say Don't Look At Me hits somewhere between Love Lettuce and Cupcake. It's not quite as abrasive as Love Lettuce but I think it still offers more in the way of exfoliation than Cupcake, actually the more I think about it the more I think that Don't Look At Me would work well as a Cupcake for more mature/adult skin. Overall, I love Don't Look At Me and how well it's worked for my skin and also how goofy it made me feel because it's really impossible to take yourself seriously with a face full of blue goop. Followed by a cleanse with my boyfriends Kalamazoo, a spritze of Tea Tree Toner Water and a layer of Vanishing Cream and I'm feeling so fresh and fancy free! I wouldn't recommend it for skin that errs more on the dry or sensitive side because it might be a little too harsh, but for oily and bumpy skin types like myself it's perfect. You can get a 60g pot in store or online for $13.95, or save up 5 black pots and recycle them in store for a freebie!